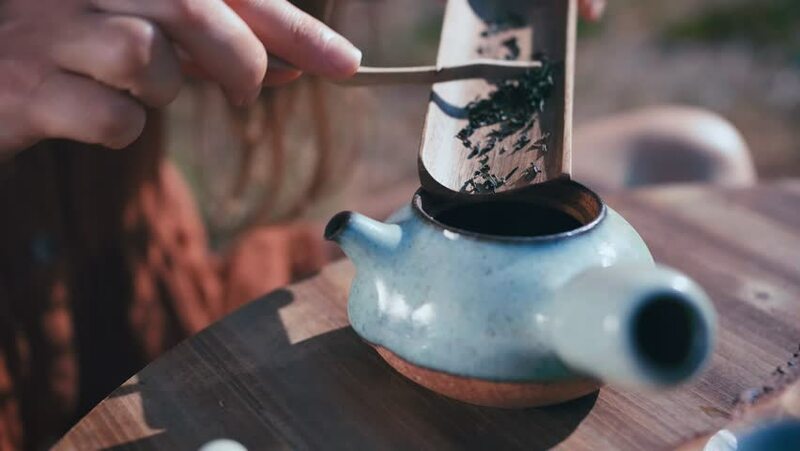 Tea ceremony while female hands are making tea pouring black or green tea and hot water into a handmade beautiful and blue teapot using natural bamboo tools then serving it into a cups. hd00:20Souvenir bottle art with coloured sand, Dubai, UAE. 4k00:20Female hands pour milk into a glass from a decanter.